Master Camp for high school specialization for children and teenagers aged 6-17 years. Professors from the Department of Motor Science at the University of Bologna. The Master Camp is at Torreverde Sports Center, in Trebbo di Castelmaggiore, Bologna from 12 to 16 June and from 19 to 23 June 2017. 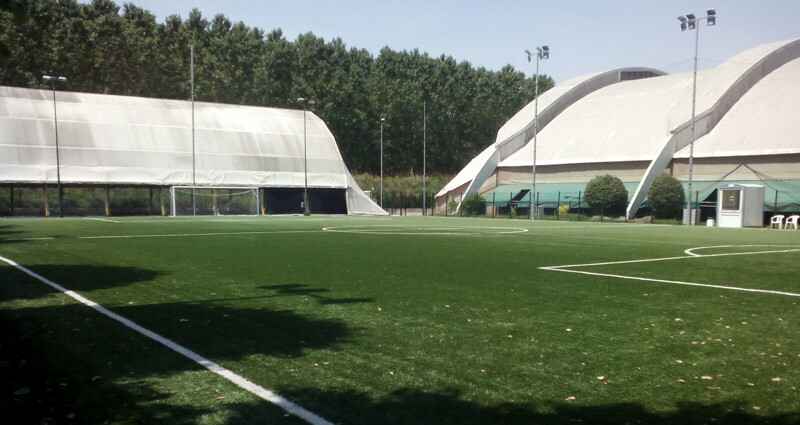 Training takes place on covered football fields, in last generation synthetic lawn, at the morning and in afternoon. After lunch at the restaurant, the first afternoon is dedicated at the insights about football, through video, guided tours and meetings with leader of the industry. Senior coaches and athletes are chosen by Christian Ferrante and Domenico Mattiaccia. By grouping and operating stations, children and teenagers will experience activities, studied by age physical and cognitive profile, according to the exclusive philosophy “All in FootbAll” an integrated work that develops socio-motor, affective, personal-characteristically and technically-tactic area, to ensure added value in the future of the young athlete. Each training session there will folow by a physiotherapist. On request, you will be able to take advice from the Health Service Coach: a physiotherapist, an osteopath, or a nutritionist will be able to design education and reinforcement programs for each individual athlete. The fee includes the player insurance. A special reduction on the participation fee is reserved for the registration of a brother / sister. On the afternoon of the last day, a final party will bring together young players, coaches and families. Master Camp is a unique opportunity to immerse yourself in the real world of Football, to become stronger, having fun. Come and doing your football supply! We are waiting for you!